The styles of patio awnings are as varied as their functionality, so when shopping for the perfect structure, there’s no shortage of options. 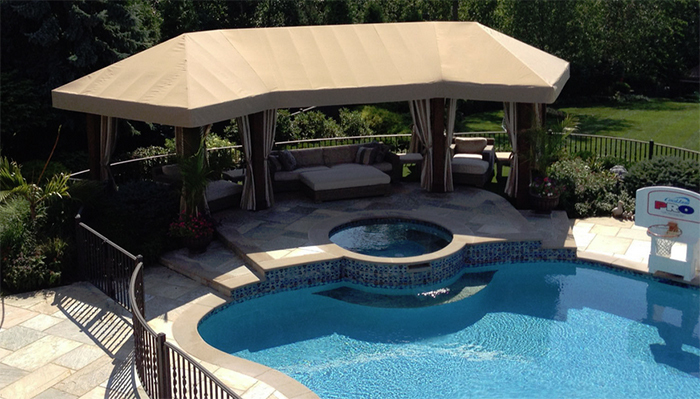 Fortunately, by keeping a few key elements in mind, you can find the perfect awning to complement your home or business patio. These awnings are affixed to your home and can be retracted easily. Their versatile nature allows them to be stored, usually in their own enclosed cassette right on your house, avoiding damage in bad weather and their frames are low-maintenance, so they can be ideal choices for a home patio or deck. However, since the mechanisms operating these types of awnings are complex, repairs can be fairly costly. The initial expense will be a bit higher than for a stationary unit but usually well worth the investment. These sturdy, long lasting structures are built with endurance in mind. 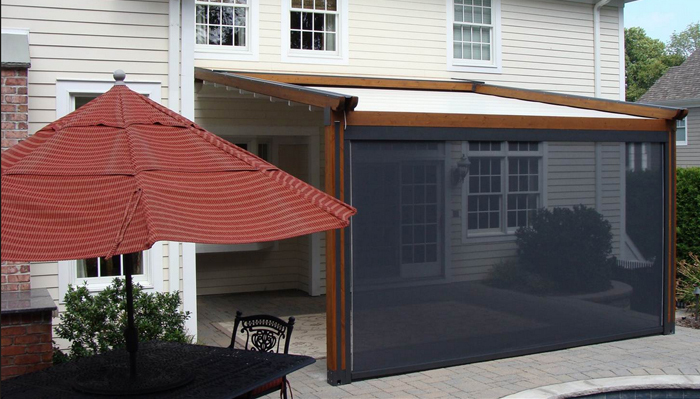 They offer full-weather protection and can be a good addition to patios, doors, or windows. While they do require a support structure to accommodate a larger patio, the design possibilities for the support structure are broad. The canopy cover can even be removed seasonally to prevent needless wear. However, more maintenance is required to keep up this permanent structure, and once it is placed, its orientation cannot be altered. With the previously noted options in mind, take a look at your area. What square footage needs to be covered? How much exposure to destructive environmental elements will your patio awning have? Answering these questions will allow you to initially determine which awning type best suits your project so you can move on to the design portion of the endeavor. Slope, waterfall, crescent, dome, and ornamental styles are just a few of the baseline options for awning design. Take a look at each, decide what level of protection you want from your awning, and let your creativity loose to find the perfect design for your space.